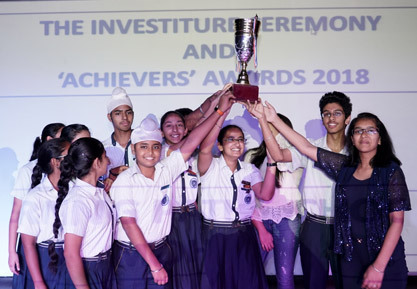 Achievers’ Awards are highly motivational and serves as a platform to help students excel in academics as well as other co curricular activities. Every year students at LPS are awarded for their overall outstanding performance. These awards have been introduced in the school mainly to encourage students and enhance their performance further. The Achievers’ Awards have been acting as an effective tool to boost the confidence of students and bring in healthy competitive spirit among them. Various Inter House Events including Quiz, Extempore, etc. Inter House Sports Events Including Athletic Meet, Basketball, Table Tennis, Chess, etc. Stars of the Month in all subjects including Math & Languages. Further, the student has to be among the top 9 students of the class as a whole where there are 3 sections and among the top 12 students of the class as a whole where there are 4 sections. Students who have reached the State/National level in some competition be it academic, co-curricular or sports are also honoured every year. It goes without saying that these students should have exhibited exemplary behaviour and are role models for their peers.